TRANSACTIONS: Signed by Los Angeles (3/19/19)...released by the Jaguars (3/13/19)...originally drafted by Jacksonville in the first round (3rd overall) of the 2014 draft. PRO: Ranks second in Jaguars history in career passing yards (17,646), pass attempts (2,632), pass completions (1,561) and passing touchdowns (103)...the first player in Jacksonville history to have multiple games with four-plus passing touchdowns (five games)...joins Russell Wilson, Cam Newton and Jeff Garcia as the only players in NFL history to throw for at least 15,000 yards and rush for at least 1,500 yards in their first five NFL seasons. 2018 SEASON: Selected as an offensive captain by his teammates for the 2018 season...played in 13 games with 12 stars... completed 243-of-403 passes (60.8 comp. pct.) for 2,718 yards, 13 touchdowns and 11 interceptions for a 79.8 QB rating...rushed for 365 yards on 58 carries (6.3 avg. )...at New York Giants (9/9): Completed 18-of-31 passes for 176 yards, one touchdown, one interception and rushed four times for 42 yards, including a career-long rush of 41 yards...vs. New England Patriots (9/16): Completed 29-of-45 passes (64.4 comp. pct.) for 376 yards, four touchdowns and one interception...his 376 passing yards were the third-most in a game in his career and the most ever in a Jaguars victory...vs. Tennessee (9/23): Completed 21-of- 34 passes (61.8 comp. pct.) for 155 yards...rushed for 27 yards on five carries...vs. New York Jets (9/30): Passed David Garrard (16,003) and moved into second on the team’s all-time passing yardage list, and also passed Garrard (1,406) and moved into second on the team’s all-time pass completions list...completed 29 of 38 passes (76.3 comp. pct.) for a then career-high 388 yards, two touchdowns and one INT for a passer rating of 114.8...rushed three times for 28 yards...at Kansas City (10/7): Completed 33-of-61 passes for a career-high 430 yards, one touchdown and four interceptions... rushed four times for 34 yards, including a 21-yard touchdown run...his 430 yards passing is second-most passing yards in Jaguars history...at Dallas (10/14): Completed 15-of-26 passes for 149 yards, one touchdown and one interception...rushed four times for 22 yards... at Indianapolis (11/11): Completed 26-of-38 passes (68.4 comp. pct.) for 320 yards and two touchdowns...his 20th career 300-yard passing game, which ties Peyton Manning for sixth-most in NFL history through a player’s first five seasons. 2017 SEASON: Started all 15 games...completed 315-of-523 passes (60.2 comp. pct.) for 3,687 yards, 21 touchdowns and 13 interceptions for a 84.7 QB rating...marked his third-consecutive season with more than 3,500 passing yards and 20 touchdowns... finished the postseason completing 49-of-85 passes for 549 yards, 3 touchdowns and no interceptions for a franchise-best 91.0 passer rating in the postseason...vs. Tennessee (9/17): Completed 20-of-34 passes (58.8 comp. pct.) for 223 yards, one touchdown and two interceptions...added four rushes for 29 yards...vs. Baltimore (9/24): Completed 20-of-31 passes for 244 yards, four touchdowns...rushed for 18 yards on three carries... vs. Los Angeles (10/15): Completed 23-of-35 passes for 241 yards, one touchdown and one interception...at Indianapolis (10/22): Completed 18-of-26 passes (69.2 comp pct.) for 330 yards and one touchdown...threw for a career high 282 yards in the first half...finished game with 124.7 QB rating...vs.Los Angeles Chargers (11/12): Completed 29-of-51 passes for 273 yards, one touchdown, two interceptions...rushed for 34 yards on five carries...led an 11-play, 84 yard drive (all passes) that concluded with a WR Marqise Lee TD to tie the game in the third quarter...vs. Houston (12/17): Completed 21-of-29 passes (72.4 comp. pct) for 326 yards, three touchdowns and a career-high 143.8 QB rating...at San Francisco (12/24): Completed 30-of- 52 passes (64.0 comp pct) for a then career-high 382 yards, two touchdowns and three interceptions...rushed for 31 yards on five attempts...AFC Championship at New England (1/21/18): Completed 23-of-36 passes (63.9 comp. pct.) for a single-game postseason Jaguars record 293 yards...added one touchdown for a QB rating of 98.5. 2016 SEASON: Started all 16 games...completed 368-of-625 passes, both being single-season Jaguars records, for 3,905 yards, 23 touchdowns and 16 interceptions with a 78.8 passer rating... marked his second-consecutive season with more than 3,500 passing yards and 20 touchdowns, the first player in Jacksonville history to achieve this feat...threw his 1,000th career completion against Indianapolis in Week 17 to become the sixth-fastest player in NFL history...was one of two players (Atlanta’s Matt Ryan) in the league responsible for a TD (passing/rushing/ receiving) in every game of 2016...vs. Green Bay (9/11): Completed 24-of-39 passes (61.5 comp. pct.) for 320 yards, one touchdown and one interception for an 85.4 passer rating...his 187 first-half passing yards were most for his career...the 320 yards are the most by a Jaguars quarterback on kickoff weekend in franchise history... vs. Baltimore (9/25): Completed 24-of-38 passes (63.2 comp. pct.) for 194 yards, two touchdown and three interceptions for a 60.6 passer rating...eclipsed 50 career passing touchdowns in his 33rd career game, becoming the fastest Jaguars quarterback to 50 career passing touchdowns, surpassing the previous mark set by Mark Brunell (41 games)...at Chicago (10/16): Completed 20 of 33 passes (60.6 comp. pct.) for 271 yards, one touchdown and one interception for an 84.3 passer rating...trailing 16-10 with 3:18 remaining in the fourth quarter, Bortles engineered a four- play, 78-yard drive that culminated in a 51-yard TD pass to WR Arrelious Benn with 2:58 remaining...the victory marked Bortles’ fifth come-from-behind fourth-quarter victory...vs. Tennessee (12/24): Completed 26-of-38 passes for 325 yards and one touchdown...his 103.5 passer rating was a season-high and his best mark since he posted a 124.5 passer rating at New Orleans on Dec. 27, 2015...also had a receiving touchdown on a throw- back pass from WR Marqise Lee, becoming the first player in NFL history to record 300-plus passing yards and at least one receiving touchdown...at Indianapolis (1/1/17): Completed 25-of- 39 passes for 301 yards, one touchdown and posted a 96.2 passer rating...threw for 300+ yards in back-to-back games for the second time this season and for the fourth time in his career. 2015 SEASON: Completed 355-of-606 passes (58.6 comp. pct.) for 4,428, 35 touchdowns and 18 interceptions for an 88.2 passer rating...set single-season franchise records for yards, completions, attempts and touchdowns...threw a touchdown in 15 straight games from 9/13/15 to 12/27/15, the longest streak in Jaguars history...threw for the NFL’s second-most passing touchdowns (35) in 2015, behind only New England’s Tom Brady...joins Dan Marino (1984) as the only first or second-year quarterbacks in NFL history to throw for 4,400-plus yards and 35-plus touchdowns in a single season...became the youngest QB in NFL history to throw for 4,000-plus yards and 35-plus touchdowns and rush for 300-plus yards in a season...the only other players in NFL history to achieve the feat are Daunte Culpepper (2004) and Steve Young (1998)...finished the season with 72 completions of 20-plus yards, the most in the NFL and the most in a season in Jaguars history (the previous record for completions of 20-plus yards by a Jaguars quarterback was 44, set by Mark Brunell in 1997 and 2001 and David Garrard in 2004)...threw for 300-plus yards on six occasions in 2015, tied for the most 300-yard passing games by a Jaguars QB in a single season...youngest quarterback in NFL history to throw for at least 25 touchdowns and rush for at least one touchdown in a single season...vs. Carolina (9/13): Became the second quarterback in franchise history to start on opening day before turning 24 years old...completed 22-of-40 for 183 yards and 1 touchdown, while also rushing four times for 26 yards (6.5 rush avg. )...surpassed 3,000 career passing yards on a 6-yard touchdown completion to Rashad Greene in the second quarter... his 22 completions are tied for the seventh-most in a season opener in Jacksonville history...at Indianapolis (10/4): Completed 28-of- 50 passes (56.0 comp. pct.) for 298 yards and one touchdown for an 80.2 passer rating...the 50 pass attempts by Bortles were the most of his career and the fifth-most in Jaguars history...joins Byron Leftwich (54), Mark Brunell (52, 50) and Chad Henne (51, 51) as the only players in Jaguars history to register 50-plus pass attempts in a single game...at New York Jets (11/8): Completed 24 of 40 passes for a career-high 381 yards, two touchdowns and two interceptions...381 passing yards were fourth-most in Jaguars history...joins Mark Brunell as the only quarterbacks in franchise history to throw for 375-plus yards in a single game...has thrown for two-plus touchdowns in four consecutive games, tying the franchise record for most consecutive games with two-plus passing TDs (Chad Henne in 2013 and David Garrard in 2007)...at Tennessee (12/6): Completed 24-of-36 passes for 322 yards and a career-high five touchdowns...became the youngest player in NFL history to throw for 320-plus yards, five-plus touchdowns and no interceptions in a single game...his five touchdowns is the most by a Jaguars quarterback in a single game...joins Dan Marino (22, 1984) and Matthew Stafford (23, 2011) as the only QBs age 23-or-younger in NFL history to throw for 27 or more touchdowns through the first 12 games of the season...tallied a career-high 134.5 passer rating...at New Orleans (12/27): Completed 27-of- 35 passes (77.1 comp. pct.) for 368 yards, four touchdowns and two interceptions for a passer rating of 124.5, his third highest of the season...Bortles’ 77.1 comp. pct. was the second-highest in his NFL career...in the second half, completed 18-of-21 passes (85.7 comp. pct.) for 288 yards, three touchdowns and no interceptions for a perfect 158.3 passer rating. 2015 SEASON: Set franchise single-season records for a rookie with 2,908 passing yards and 280 completions while throwing for 11 touchdowns...led all NFL quarterbacks with a 7.48 average per rush, rushing 56 times for 419 yards...marked the highest single- season rushing average by a quarterback in team history and his 419 rushing yards were second-most in team history (480, Mark Brunell, 1995)...finished with 37 completions of 20-plus yards... became 16th quarterback in Jaguars history to start a game and was one of seven rookie quarterbacks to make their NFL debut in 2014...took over as the team’s starting QB in Week 4 and started the final 13 games...was 280-of-475 passing for 2,908 yards with 11 touchdowns and 17 interceptions for a 69.5 rating... had 21 completions of 25-plus yards...rushed for 419 yards on 56 carries (7.48 avg.  ), the highest average by a NFL QB and second- most rushing yards by a Jaguars quarterback in a season...vs. Indianapolis (9/21): Made his NFL debut after he was inserted into the lineup to start the second half and finished 14-of-24 passing for 223 yards with two touchdowns and two interceptions for an 82.5 passer rating...had four completions of 20-plus yards including a 63-yard touchdown pass to Allen Hurns...also had 30 rushing yards including a 20-yard rush...engineered the offense to 289 yards in the second half after the club managed only 55 yards in the first half...at San Diego (9/28): Made first career start and totaled 29 of 37 passing for 254 yards with one touchdown and two interceptions for an 81.7 passer rating...completed 78.4 percent of his passes, the highest in NFL history for a rookie quarterback in his first career start with a minimum 30 attempts... posted five carries for 24 yards...his 29 completions set single- game Jacksonville record by a rookie and his completions, attempts and yards were most by a Jaguars rookie quarterback in first career start...at Tennessee (10/12): Threw for 336 yards and one touchdown on 32-of-46 passing (69.6 pct. ), tying Byron Leftwich (10/5/03 vs. San Diego) for most passing yards by a rookie in team history...the 46 attempts and 32 completions were the most in Jaguars history by a rookie...had a 59-yard completion to TE Clay Harbor and hooked up with Harbor for a 20-yard touchdown pass in the fourth quarter...marked first AFC South start...led team in rushing with five carries for 38 yards. COLLEGE: Played in 37 games with 30 starts...declared for the NFL Draft following his junior season...compiled a 22-5 record as a starter...career totals included 585-of-891 passing for 7,598 yards with 56 touchdowns and 19 interceptions...ranked fourth in school history for passing yards and touchdowns...as a junior, finished 259-of-382 passing (67.8 pct.) for 3,581 yards with 25 touchdowns and 9 INTs...led UCF to a 12-1 mark and a Fiesta Bowl win... named MVP of the Fiesta Bowl with a win over Baylor, throwing for 301 yards and three touchdowns...majored in interpersonal/ organizational communication and minored in sports and fitness. PERSONAL: Attended Oviedo High School where he finished his career by setting Seminole County records with 5,576 yards and 53 touchdowns...earned MVP award at the Central Florida All-Star game following senior year...also lettered in baseball...his brother, Colby, was drafted by the Detroit Tigers in the 22nd round of the 2017 MLB Draft...the son of Suzy and Rob Bortles.